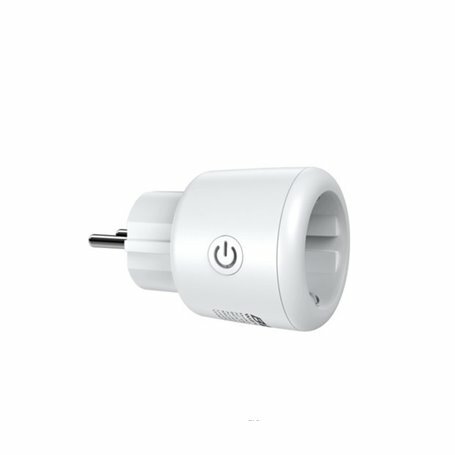 Easy to turn your home appliances on/off when using this Wi-Fi plug with free mobile app on your smartphone. Compatible with Amazon Alexa Echo, Google Home and Assistant. Intelligent control: switch could turn on/off your device in anywhere. LED indicator: there is a green LED integrated in the switch to show WiFi and AC port working status. Power switch: short press could turn on/off your device, long press than 3 seconds could control WiFi reset. Set schedules and timer: you can set up timers via free app or Amazon Echo to automatically turn on/off your device day by day while you are not in home. Smart Control: Controlled by Bestek App, turn on/off your device anywhere. Home Devices: Connected to Google speakers, you can voice control all devices and free your hands. Separately control: Each AC outlet can be separately turned on/off in the Bestek App and you can rename each outlet to control a device, group or scene. Set routines and timer: Set a series of timers and devices will automatically turn on/off even if you are not at home. Unique Design: the unique shape design surge protector provides more space between each outlet, compact design, heavy duty fireresistant material and high quality components. Tuya Wi-Fi Service: Using the fastest growing Wi-Fi IoT Platform in Retail – high Efficiency, Flexibility, and Reliable Data Security.